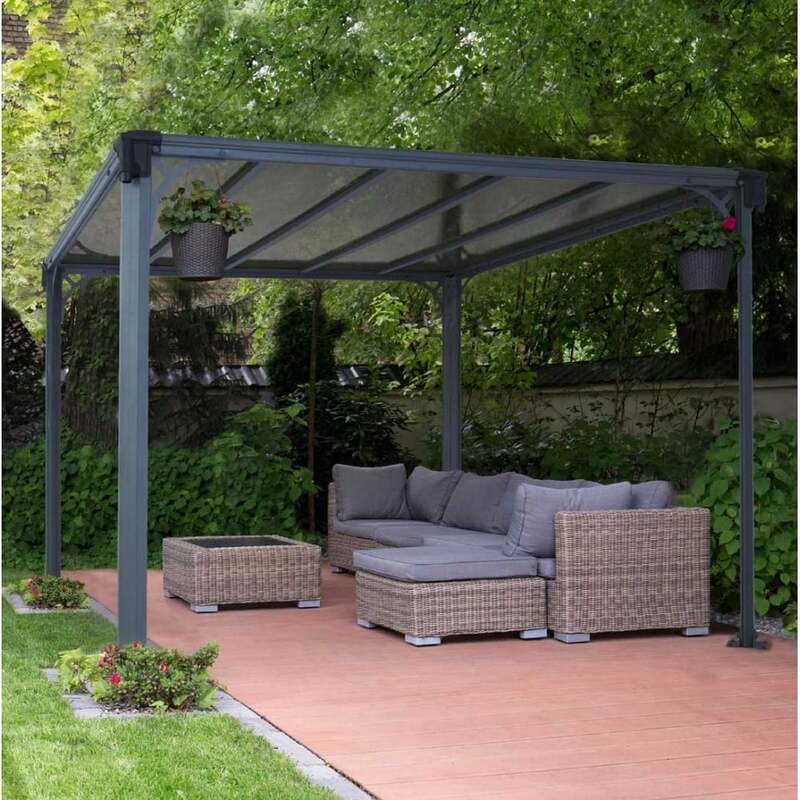 Palram Milano Garden Gazebo 3000 The stylish Milano is a flat topped gazebo which will provide a quality lounging area for your patio or garden. Creating a cool retreat from the sun in the summer or a versatile canopy for a hot tub this gazebo will provide shelter from inclement winter weather and can therefore be used all year round. The sturdy construction and shatter resistant polycarbonate panels will mean that this garden gazebo will provide years of pleasure and is ideal for hosting dinner parties and entertaining friends and family. Complete with integrated gutters, this garden focal point includes a 10 year warranty against manufacturing defects.